Country Living at it's Very Best! Seriously this Charming Colonial Home has it ALL to include a Stunning Starry Night Sky. 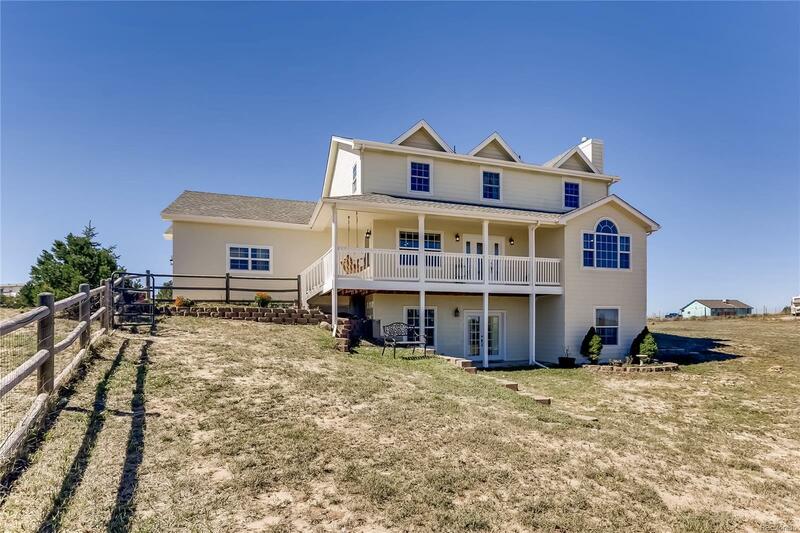 5 Bedrooms, 4 Bathrooms, Open and Flowing Floor Plan with a 3 Car Garage, Huge Mudd Room, Walk-Out Basement on 2+ Acres of Pure Sunshine! Close Enough to Shopping/Entertainment, but Rural Enough to Enjoy over 9 miles of Riding/Hiking! If the Wrap-Around Porch doesn't get you; then be prepared for a Phenomenal Basement that can Easily double as an Mother-In-Law apartment. It has a Second Master Suite with Jetted Tub, Separate Office Area, Large Kitchenette and Full Theater Room. Newer Roof, Reverse Osmosis Water System, W/D Stay, New Perimeter Lights, New Dishwasher, New Basement Paint, New Laminate Floors and Fully Remodeled Bathrooms on the Second Floor. Don't Delay taking a Look at this Home as it is Priced to Sell!